And the drought until September won't likely get that much better because I don't think TBS 3.75" Waves 7 and 8 will be as easy to find as many of us wish. We'll see more new product this summer but it likely won't be enough to satisfy demand, and Wave 8 may have a serious case of Last Wave Syndrome if we know Hasbro's standard operating procedure before a new or revamped toy line and a new movie are released. At this point, I think Hasbro is aware of the demand for Rebels figures, especially HTF figures like Chopper, Sabine, and Hera. I expect to see some repacks and retools when Fall comes around. The popularity is higher than I thought, a TRU near me had a number of Zeb Mission Series sets and they are all sold out now. 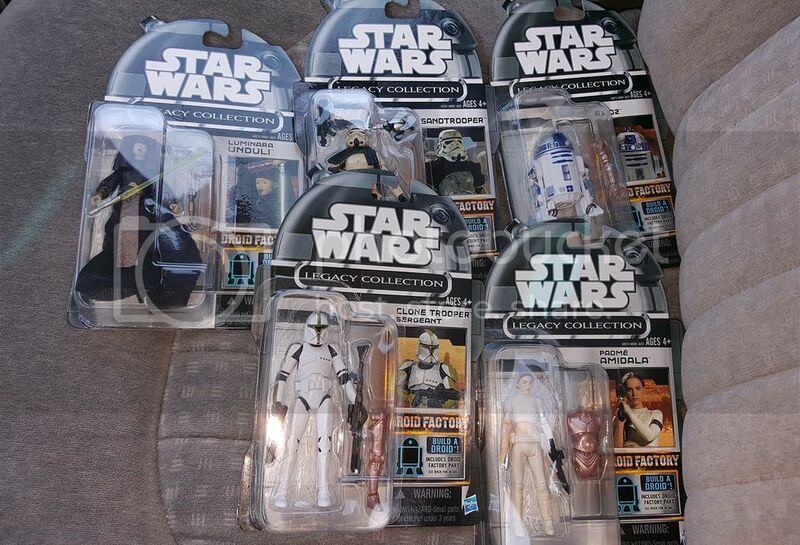 As a matter of fact, no Rebels figures were on the pegs - the Legends and MS figures that remained were from the OT. I hope they repack Chopper. I have yet to see him in any brick-and-mortar store and was lucky that a good collector friend hooked me up with a copy of him. I actually bought the damn Hero Series X-Wing the other day on clearance. For $18, I decided to give it a shot. It's better opened up and put together than I thought - my immediate thought was they should try environments/playsets like this. ^ Saw three of these tonight at TRU in south county, MO. Bought one, for my son for his birthday. I'm don't think I want one considering the goofy undersized scale. My local stores have yet to stock the Imperial Troop Transport, unless they got in a couple of cases of the thing and they sold out before I got to those locations. In fact, I have yet to see any of the non-Target exclusive vehicles around here. The retailers just aren't stocking the mass-retail Rebels vehicles for whatever reason(s). Plenty of repacked Jedi Starfighters and Slave I's in the Rebels boxes, though. Thanks for the heads-up about Kohl's! Snap a pic, if you can! We've had the transport in the SF Bay Area TRU locations for at least 2 months now. I picked one up some time ago and it's still sitting in the box. I might run out to my TRU tomorrow and check the shelves. It'll be Thursday, which is their weekly Truck Day. Maybe they'll get something new like the Imperial Troop Transport or the other Rebels vehicles. Dang it, didn't see your post soon enough or I would have! I had been in there for 3 hours, so you can't blame me for wanting to get out! Speaking of new finds (this isn't Rebels-related but humor me for a moment): only one other collecting website is reporting anything about this at the moment, but did you guys hear that the cancelled 2013 Droid Factory figures (not the Amazon Droid Factory exclusives but the ones originally scheduled for production and release before the line was terminated and replaced with The Black Series) have surfaced at the specialty chain Go! Calendars? According to a new update, Go! Calendars is selling them for $19.99 each. Very cool, but $20 is way too much for me to pay for figures I already have. If I was a carded collector, I'd probably consider it. I don't have a Go! Calendars store in my area anyways so this is cool news more than anything else. Besides, the R2-D2 is the only one of those five that I'd be interested in picking up if I saw it, especially at that high retail price. The four others were pretty common finds in Black Series packaging or were part of the Amazon-exclusive Droid Factory set.